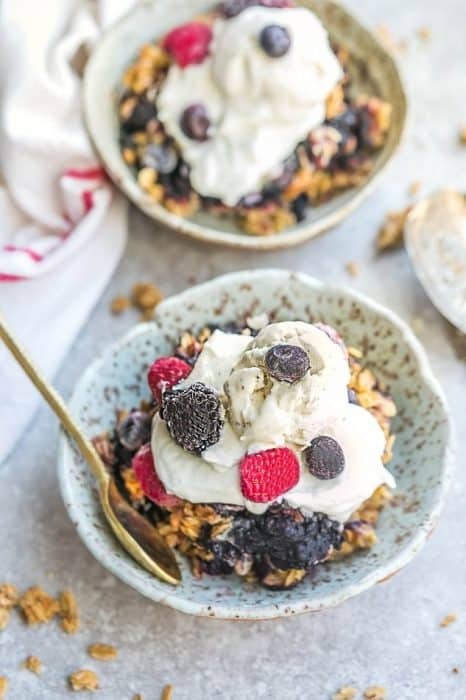 Triple Berry Crisp with an oat crumble topping is the perfect easy healthier dessert for using up summer (or frozen) berries. Best of all, it’s gluten free, vegan, refined sugar free and takes less than 10 minutes to assemble with blueberries, raspberries and blackberries. Plus recipe video. One of my favorite things about summer is all the juicy sweet berries. I am notorious for impulsively hoarding berries. It’s too easy not to when they look SO good for such a great price. 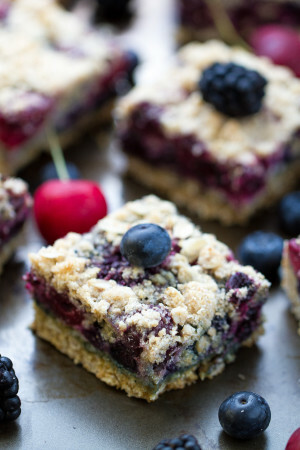 Besides eating them straight from the bowl – we love using them up for some crumble bars or a juicy berry crisp. Crisps are always a huge hit and the best part is, they take less than 10 minutes to make. 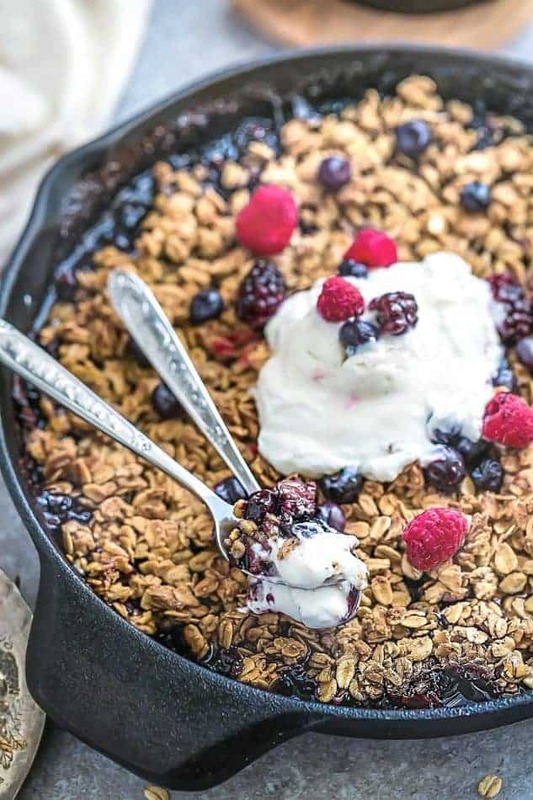 The great thing about this Triple Berry Crisp recipe for is that you can use any combination of berries you have on hand. Fresh or frozen – whatever you have! Just toss the berries together with some honey and cornstarch (or arrowroot powder) to thicken up the juices. You can spread the filling into an 8-9 inch skillet or a large baking dish. Next, you mix together the crumble topping with some oats, oat flour, honey, coconut oil, cinnamon and salt. Use gluten free oats if necessary. 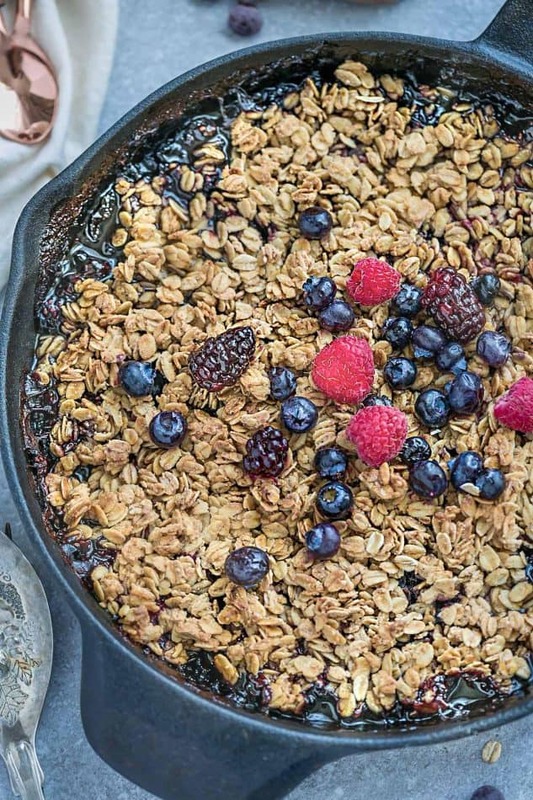 Triple Berry Crisp is the perfect easy dessert. 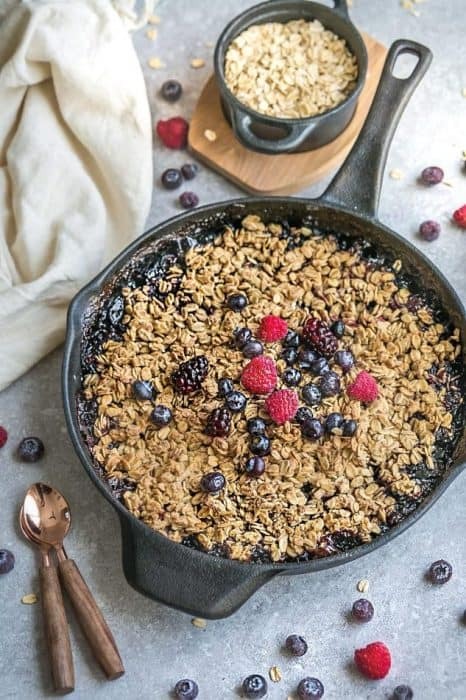 Made with blueberries, raspberries and blackberries topped with a gluten free oat crumble topping. In a medium bowl, toss the berries with honey and cornstarch. Pour into a lightly greased 8 or 9" cast iron skillet. Rinse and dry the same bowl and add the oats, oat flour, honey, coconut oil, cinnamon and salt. Use a fork or clean hands to combine the mixture until it forms small pea-sized clumps.